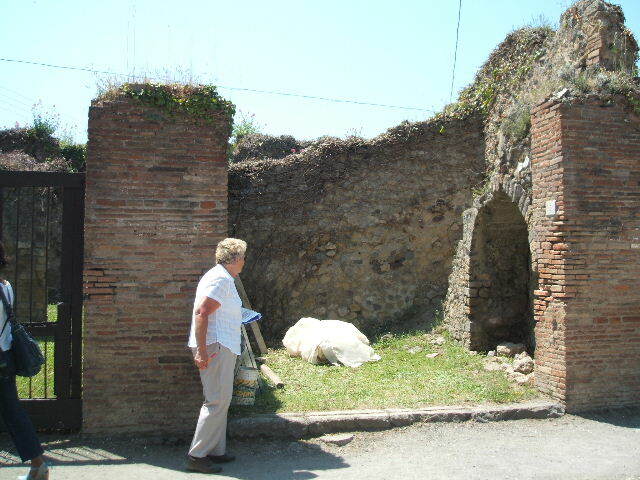 VII.2.7 Pompeii. Shop. Excavated 1843 and 1868. (Strada Stabiana 31). VII.2.7 Pompeii. May 2005. Entrance doorway, looking west. VII.2.7 Pompeii. December 2007. Entrance and north wall. 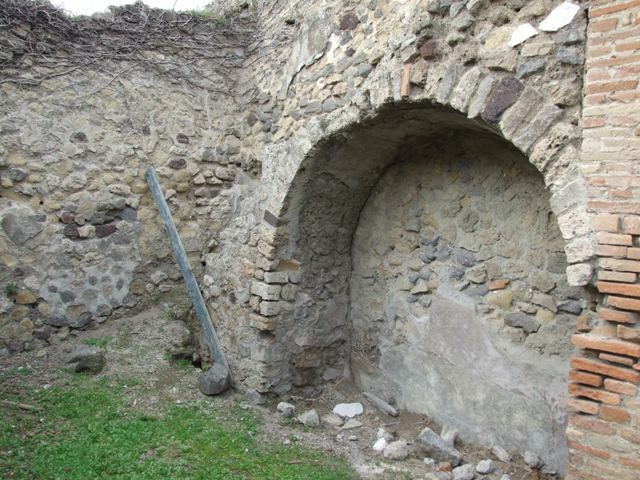 VII.2.7 Pompeii. December 2007. 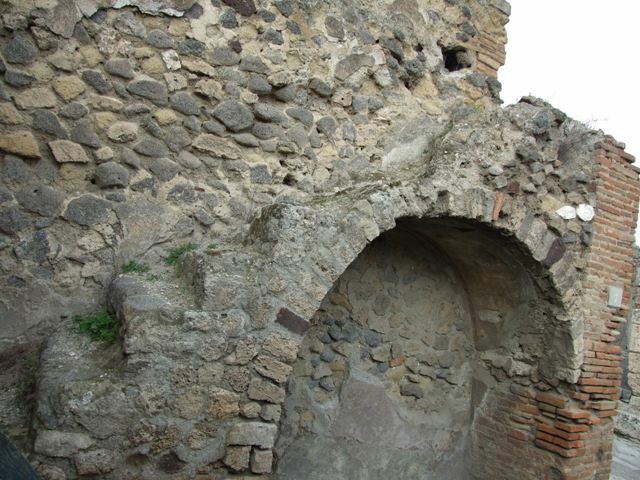 Arched niche under masonry staircase on north wall. VII.2.7 Pompeii. May 2005. 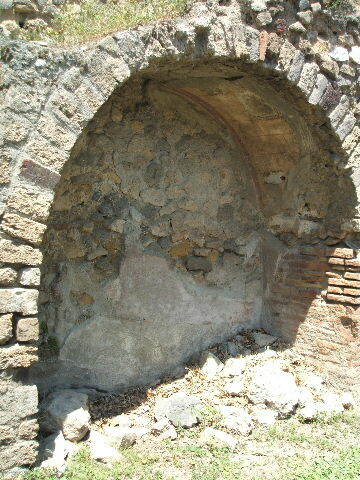 Arched niche under masonry staircase on north wall. 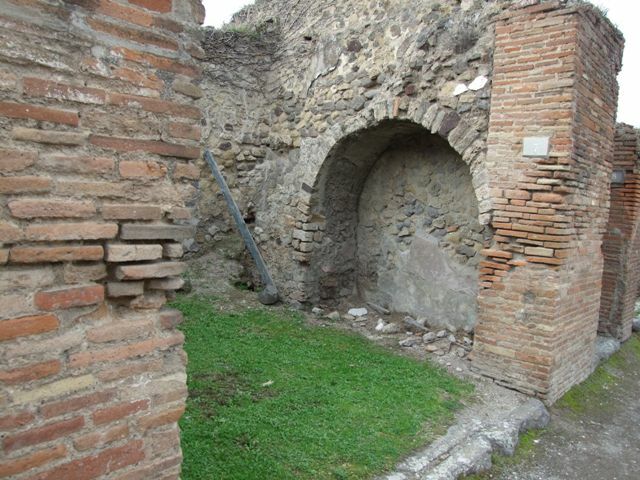 VII.2.7 Pompeii. Shop. May 2005. Small remains of painted plaster in arched niche under masonry staircase on north wall. 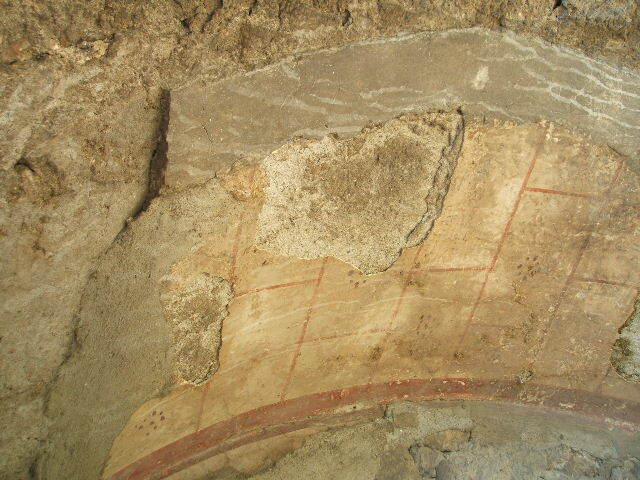 The arch was outlined in red on a white background with a dotted rosette in each of the painted squares. VII.2.7 Pompeii. December 2007. 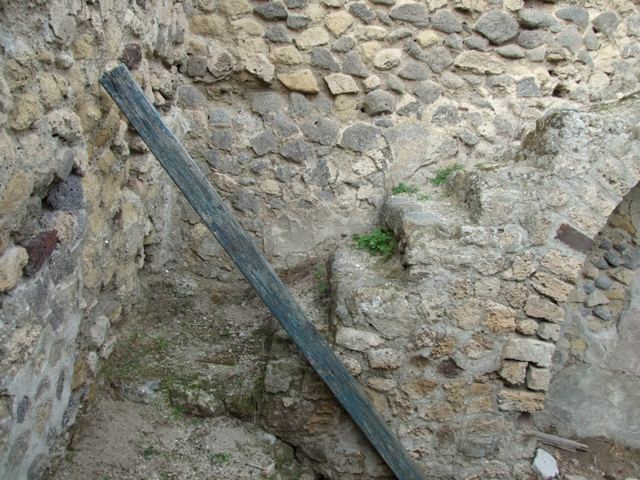 Masonry staircase and arched recess on north wall. VII.2.7 Pompeii. December 2007. 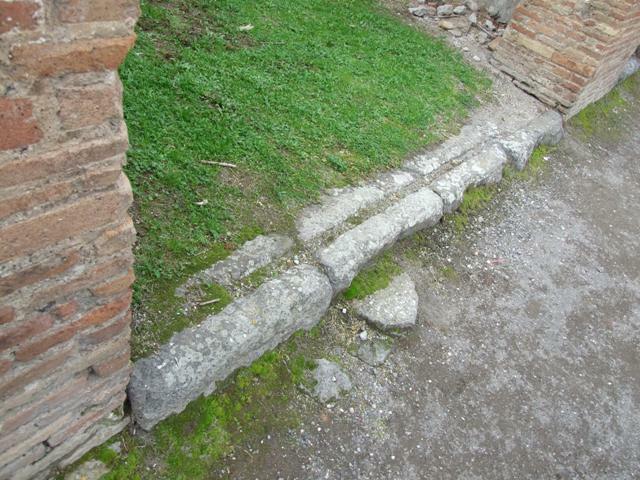 Steps of masonry staircase to upper floor. VII.2.7 Pompeii. December 2007. Threshold or sill.